One of the reasons I bought the original Magnaplanar speakers is because they sounded nothing else I had ever heard. They were not perfect, but at the very least they did not sound like boxes. After I listened to them it was hard for me to listen to a box speakers again, which, by comparison, sounded so closed in and, well, boxy. Some box speakers could have a neutral sounding midrange that rival the Magnaplanars in some ways, but they still sounded like boxes. Well, I was flabbergasted when I first heard the Spendor BC1’s. Suddenly my early Magnaplanars had some very serious competition. American made speakers could not pass the muster, but the Spendor was British. Spendor was founded in the 1960’s by Spencer and Dorothy Hughes, the name Spendor a joining of Spencer and Dorothy. The company grew out of expertise the Hughes gained in the engineering department of the BBC. The BBC had a much greater R & D budget than most commerce loudspeaker manufacturers. They developed all types of monitor speakers which were used on location and in the studio to check the balance and sound of their broadcasts. The company has designed and marketed a number of outstanding speakers over the years, gaining a worldwide reputation for quality with models like the classic LS3/5. (The design of this speaker was actually developed in house by the BBC and not by the Hughe’s, although they manufactured a version of it.) What really set Spendo apart was their model BC1. It was simply way ahead of most speakers of its day. Notice that the woofer in purple is crossed over at a fairly high frequency to the tweeter in red. This means that the woofer carries much of the midrange sound, which avoids any crossover anomalies in the critical range of the human voice. The tweeter also helps cover the midrange which adds some quickness to the midrange. A price is paid, however, because the woofer is just not able to go low enough for deep bass. On the other end of the spectrum, the tweeter simply cannot go high enough and drops off sharply at around 12 kHz. Fortunately, Spendor added a super-tweeter which made the top end sound almost like an electrostatic. Critics who were not used to listening a real top end in most speakers often criticized the brightness of the speaker. In actuality, the Spendor sounded more alive and real. In order for them to sound their best, the speakers must be placed on stands. They are not floor standing speakers, nor are they bookshelf speakers. They are monitor speakers. Put them on stands and move them away from the back and sider walls. Use the best affordable audio components available. They sound great with tubes. There is absolutely no coloration heard on female voices. They will make most other speakers sound nasal and constricted. The midrange is simply superb with just a little sparkle at the top end. Mid bass is very tight and defined. The very bottom end is simply missing. A long line of British and American box speakers have benefitted from the pioneering work of Spencer and Dorothy Hughes. The BC1’s are a classic that will hold their own even to this day. Just add a good subwoofer and the best source material and mix. It is a recipe that will please the taste for all music lovers. Even today, Spendor still manufactures great sounding loudspeakers, but no longer the beloved BC1. By the way although the LS3/5A was not a Spendor design Spencer Hughes did work on it while he was at the BBC where he worked on BBC speaker designs. While ther was variation in LS3/5A sound from the many companies that produced it, it was small. The manufacturer had to purchase a license from the BBC to produce the speaker. Included with this was a multi page spec that listed materials to be used(for instance all KEF drivers had a pass spec and most failed adding to the cost of the speaker) and a final pass spec for each speaker made. The manufacturer received one LS3/5A from the BBC to compare his speakers to. This speaker was one of a matched set and the BBC kept the other one. If the speakers being produced did not meet spec the BBC could pull the license. 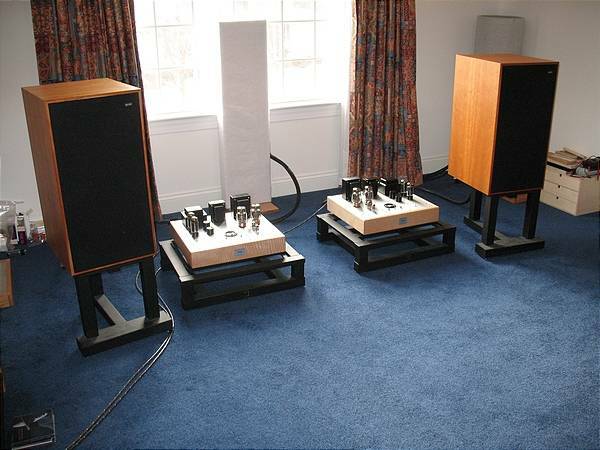 The BC1 was actually related to a later BBC speaker, the LS5/6. It was a design to make a smaller speaker than the first large bextrene monitors using the material. Work on it was suspended and Spencer Hughes who worked on it used the current research to make the BC1. I believe this was what caused Spencer to leave the BBC. There was a conflict of interest and he had a quick success anyway. There was a fee paid to the BBC for each BC1 due to the use of BBC info. The BBC did purchase many BC1s for their own use. In fact I believe there were more BC1s used than the LS5/6 which came out later and was produced commercially for only a short time by Rogers. The LS5/6 had a slightly warmer sound in the mid range and somewhat tighter bass(the biggest little flaw of the BC1). I suspect its very poor power handling had something to do with it not being heavily used. Rogers quickly modified the design and of course renamed the speaker since it was no longer a BBC design. I think you mean LS3/6, not LS5/6.